Dr. Mark is a small animal veterinarian. He works mostly with dogs and exotic animals. Why are most of you feeding your Pionus parrot food that he does not need? 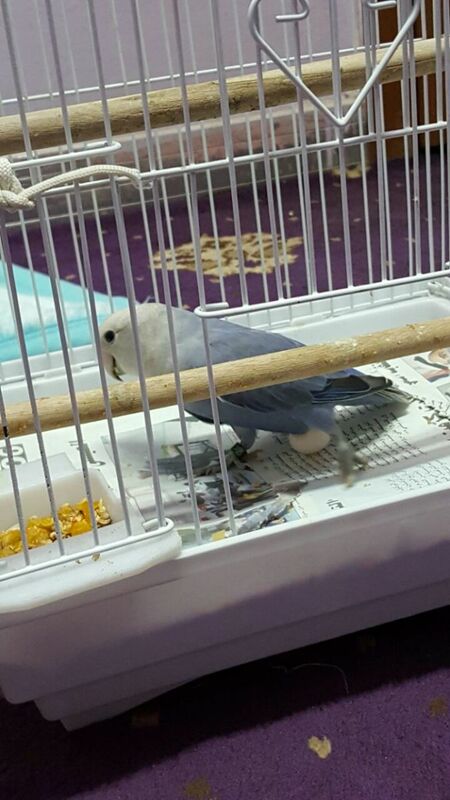 Most pet shop owners and Pionus parrot fanciers who run websites will tell you that it is vital that your bird is fed a commercial pellet feed. I am no fan of processed food, and a Pionus or any other parrot will do just as well if you feed him naturally. After sharing my granola in the morning, my Pionus gets a slice of papaya or other fresh fruit, a banana, and a few tablespoons of passion fruit on top of his Lovebird seed mix. Later in the morning, he will get a tiny slice of cheese, perhaps a piece of chicken, raw vegetables (carrots and squash on a string), and on some days, a tiny chunk of scrambled eggs. After lunch, I will break open a fresh coconut for him and the other birds. Is so much fresh fruit natural? Yes, it is, and it is the way that Pionus parrots survive in the wild. All of the fruits you provide should be free of pesticides. Your bird is small and will not able to resist the buildup of toxins over his long life. Parrots do not need to be fed a commercial diet. The “100% complete” pellets that you buy are cooked to extend shelf life, and many of the vitamins are destroyed by that cooking process. 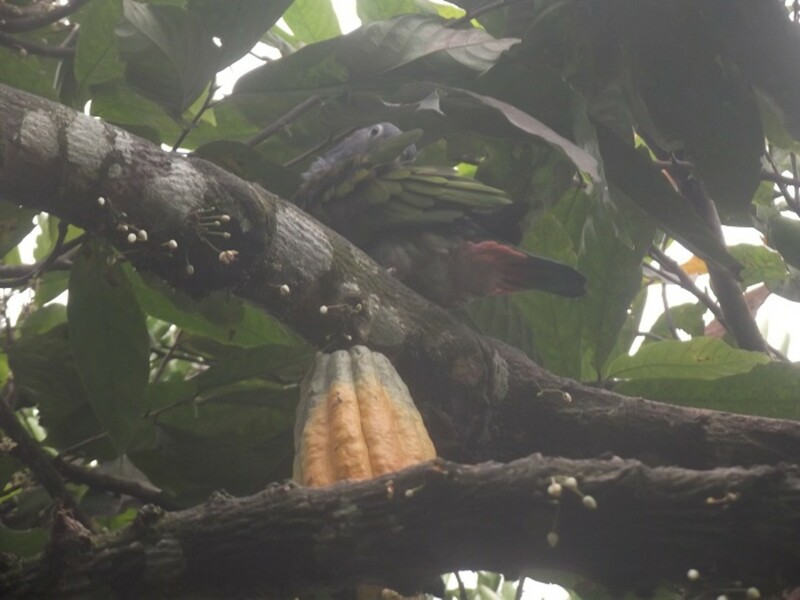 Parrots do, however, need access to all types of fresh food. All of the vitamins he needs can be provided naturally. The only advantage of commercial pelleted food is that it can provide the minerals that are missing in your bird´s fresh fruit based diet. I allow my Pionus to sit outside most days. He likes to forage through the dirt or eat the mud and dried clay around an old stump that I had pulled out. If you cannot take your bird outside often, leave a tray of clay and soil that he can forage through each day. If the weather is nice, however, the best thing for your bird is to get him outside a little. 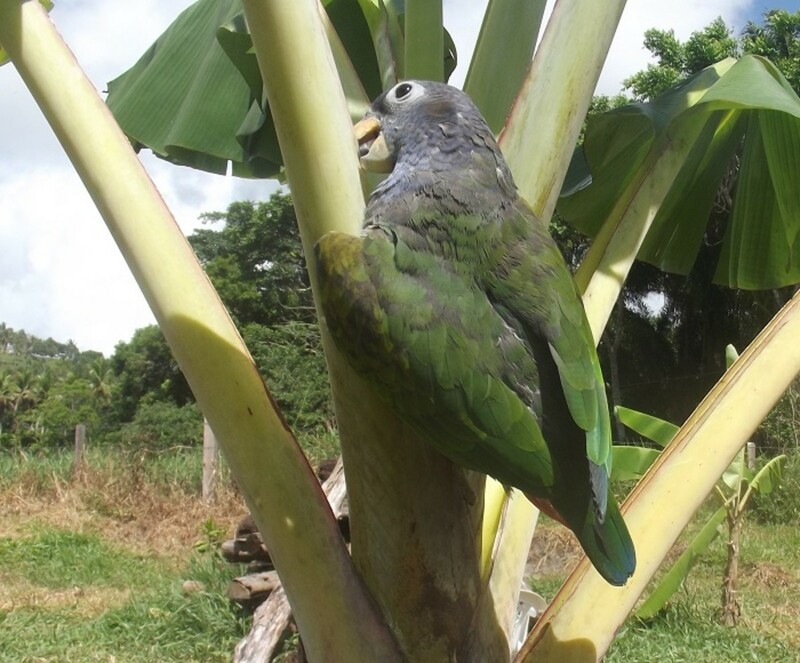 If you are considering a Pionus or other parrot read the article about exercising your parrot. If there is any possibility that your parrot will escape and get lost, look into having his wings clipped. Some bird owners provide a large enclosure outdoors so if you do not want to clip your bird´s wings this is another option. Good exercise for the legs, the neck,and often the wings too. Almost as good as flying to exercise the pectoral muscles. Depending on the type of activity,this can be great for the whole body. Great for bonding, mental stimulation, and mild climbing exercise. Keep your bird active both mentally and physically. Here are some good suggestions on how to exercise your Pionus every day. I bought this perch because it has lots of dangling toys hanging from the sides, and when I am not in the house this gives my Pionus an alternative exercise that I do not have to be involved in. When you are not home, provide your bird with plenty of mental and physical stimulation, and let her keep herself in shape. My bird loves to stand in the window when the rain is coming down, open his wings, and get soaked down to the skin. If you live in a colder area where a daily natural bath is not possible, please buy one of these sink perches and bathe your Pionus often. Remember that your Pionus is a tropical animal, and showers will control his natural dander, diminish any musky smell, and keep him happy and healthy. Still Haven't Found a Pionus Parrot? If you have not yet shared your house with a Pionus parrot, I would like to suggest this great little bird. 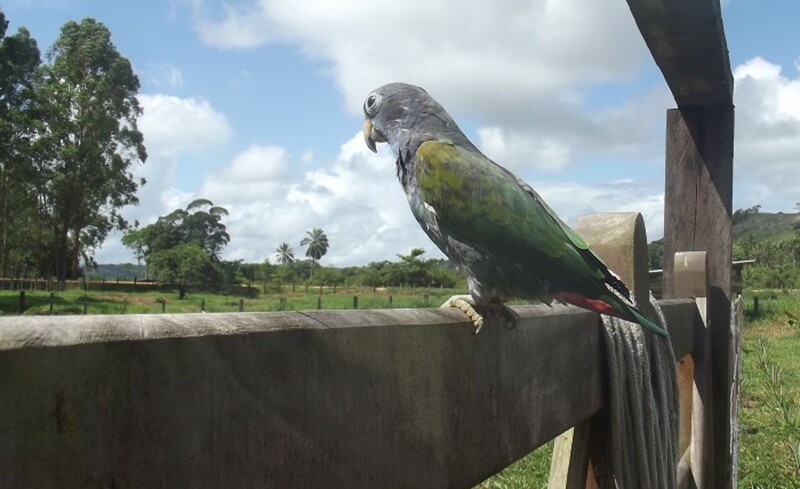 He is not too large nor too small, neither dull nor flashy, not too loud or too quiet, and, although he can be alone when he needs to, he loves company so makes a great companion for any family or a good first bird for a young person with an interest in parrots. One of the great advantages is that he does not bite often, certainly not like other parrots. 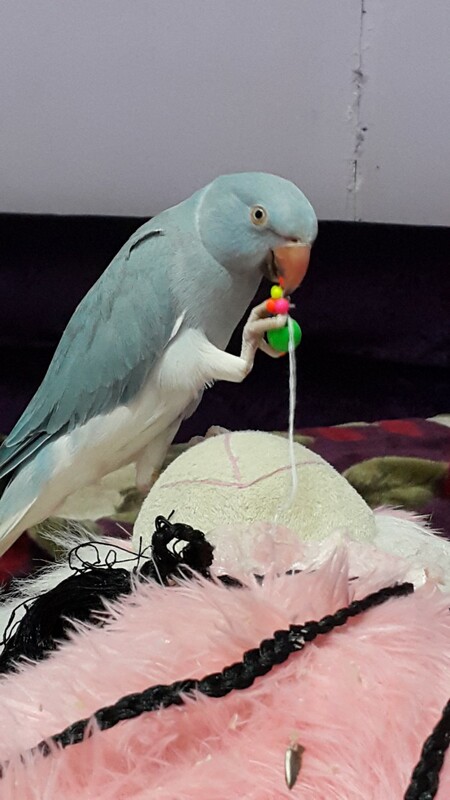 The only hard bite I have suffered was when I left my bird alone all day, forgot to leave a light on, and did not return until late at night. I think his bite was out of anger. Are you still unsure about buying a Pionus? All Parrots are beautiful, but in my opinion, Pionus are some of the best looking birds around, despite what some other parrot owners will claim. 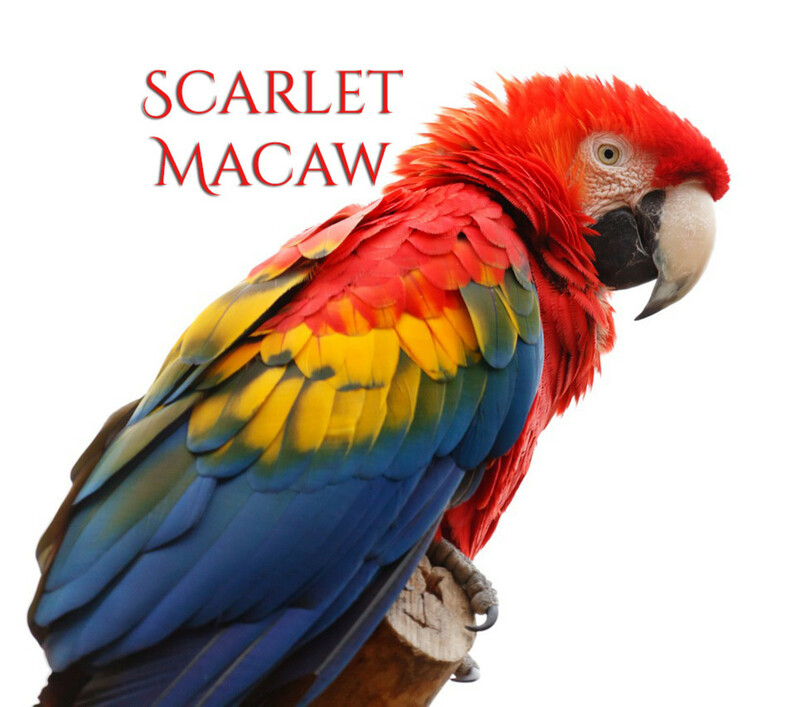 The many species of Macaw are definitely more flashy, but the Pionus´s colors are impressive. 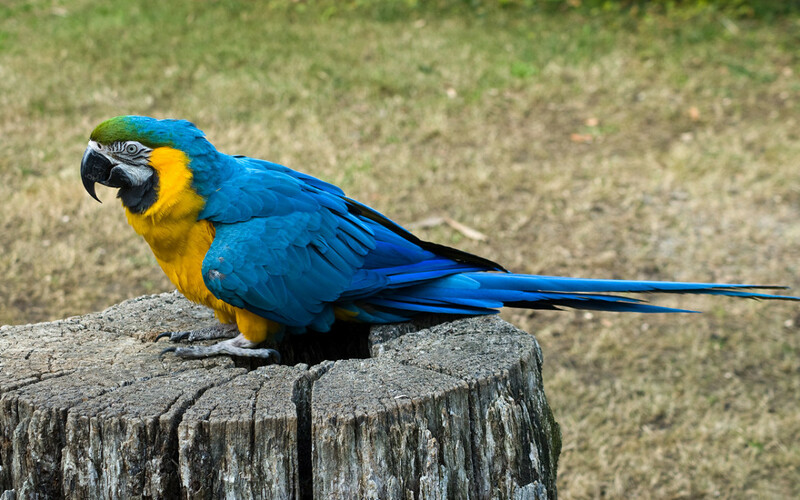 I have the blue-headed variety, which I think is the most attractive, but there are several others available in the pet trade. Is the color not enough? These birds are not too large, standing only about 25 cm and weighing only about 250 grams. 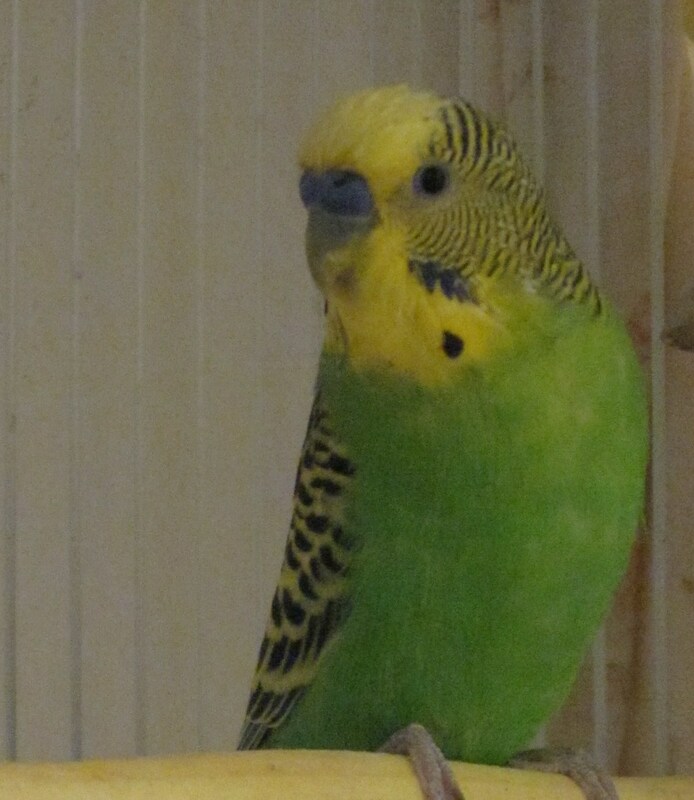 He is much too large for a parakeet cage but small enough to slip between the bars of a cage made for an Amazon or Macaw. If you are still looking, buy the largest enclosure you can afford and check on cages used to house a breeding pair of Cockatiels. And make sure you always have plenty of space. They live about 40 years, but a lot of Pionus are known to be around even longer. If you do decide to bring a bird home, remember that this is a long-term commitment. 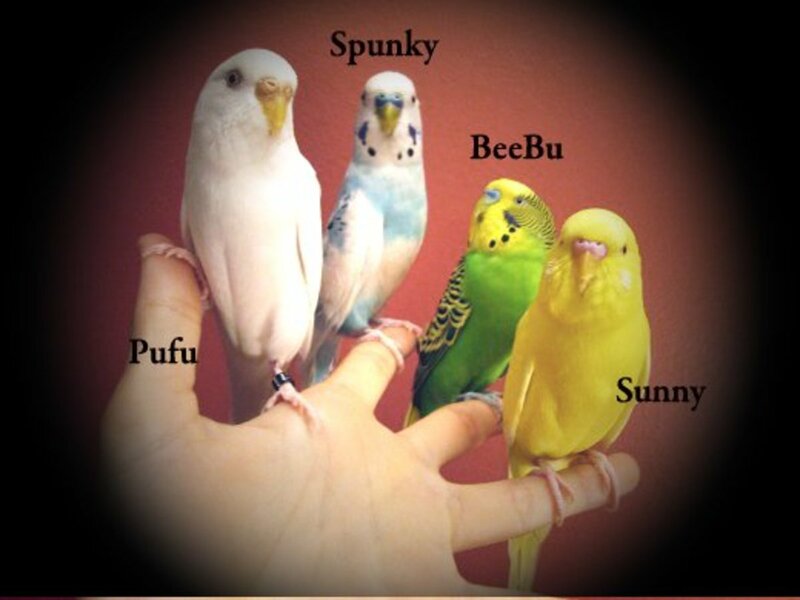 If purchased for a young person, they will do okay if another bird is added later, but the new owner needs to give all of his birds some attention and free time away from the cage. When taking your bird out to socialize, you can teach your Pionus a lot of tricks but may not be able to teach him to talk. Some people find this very important. 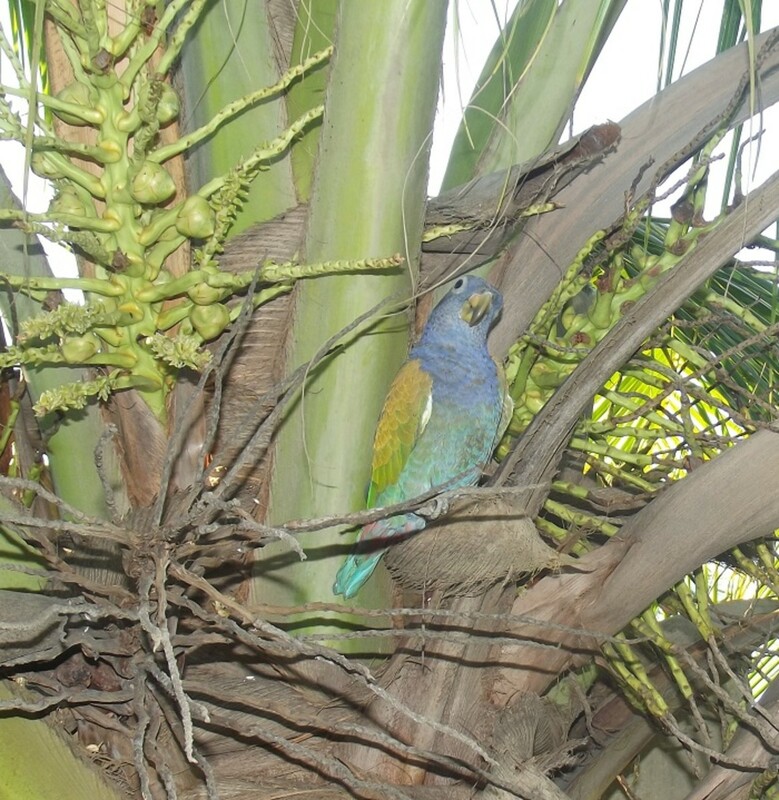 In the wild, Pionus breed in dead coconut trees, high and out of the reach of other animals. 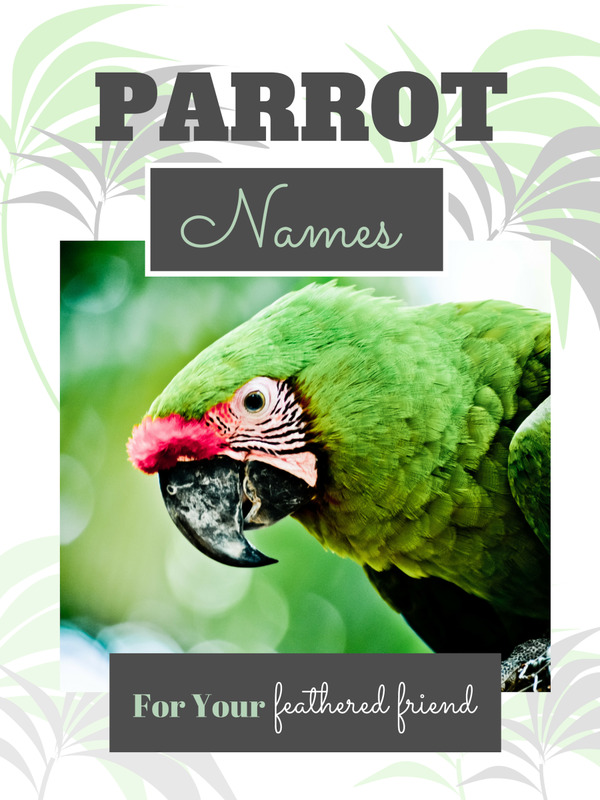 In the home, they are bred but they are not as easy as some other parrot species, which is probably one of the reasons that they are an expensive pet. After owning several vicious parrots, I was amazed at the mellow personality my Pionus displayed as soon as he was introduced to my home. He did not care for my dogs and other exotics much but did not mind them when walking to my home office to socialize. From the first day, he was willing to sit and watch me work but was always interested in a little socializing when I had time for him. When reclining in my easy chair after lunch, he likes to climb up and sit by me while I read or check the internet. In the evenings, he will abandon the other birds so that he can sit on my shoulder as I am typing. My sweet bird´s special behavior is apparent every morning. After going to the window and calling out the other animals out on the farm, he comes over and sets on my knee while I am having breakfast. He likes granola—especially the cashew nuts. 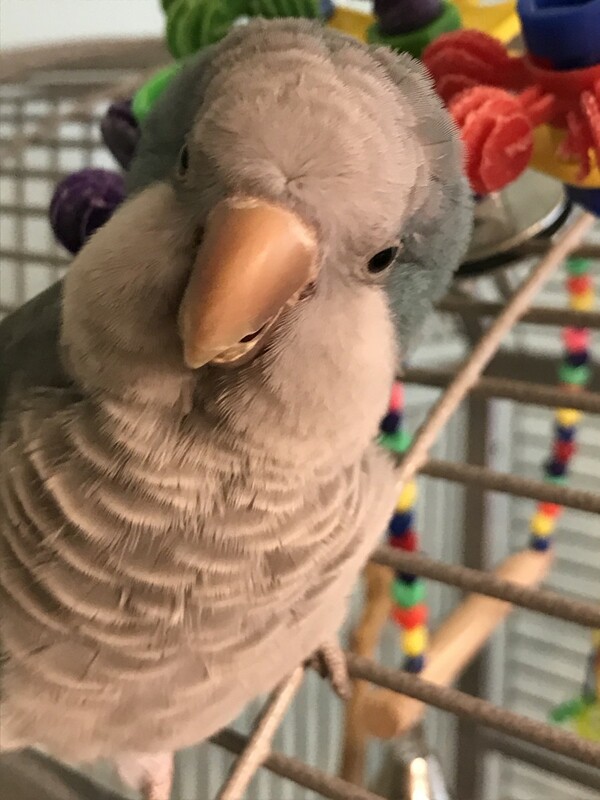 If you are considering getting a parrot, take the time to look into this great bird. There are some websites that will help you find a bird close to you. Just type in “Where can I find a Pionus parrot in (the name of your closest town or city)” and several sites will pop up. I recommend the Blue Headed Pionus, of course, but look around and do not purchase the first Pionus you find. They are not the cheapest bird out there, but several species are available for less and a Pionus will definitely be your best choice. Are you feeding your Pionus a natural diet? No, I also give pellets from the pet shop. Are walnuts good for parrots? Whew! Good thing your feathered friend had a good memory or good homing instincts, whichever one was in charge that day. Coming home means that he equates you and your home with love and safety, which is about as big a complement as you can get from a parrot. Thanks Marie. I appreciate your taking the time to read and comment. Penny, no, they will sometimes imitate a telephone, microwave, or doorbell, but they are not great speakers. I really do not mind, and compared to a bird like a Conure (which I had many years ago while in college in the US) they are awfully quiet. Also, a note about going for walks, since I like your hiking hub so much. Several years ago I was leaving a neighbors house and when I stepped out of the gate a dune buggy (without mufflers) drove right in front of us. 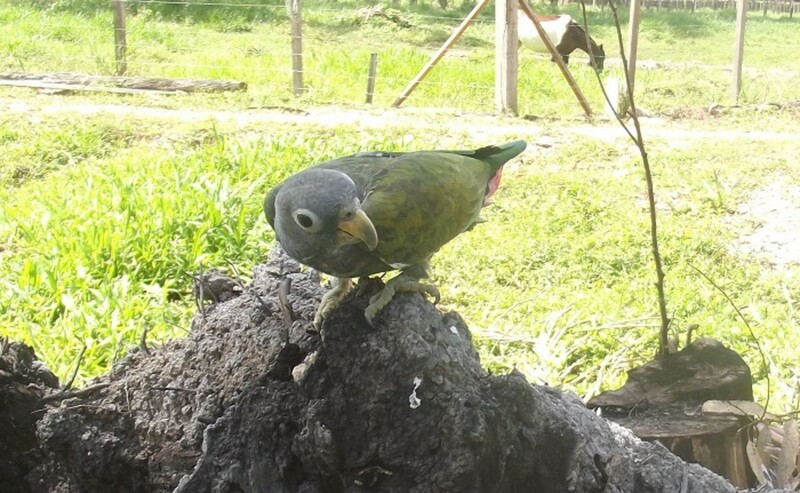 My Pionus was scared, and since I did not have him in a cage like the one you recommend in your article he flew away. Fortunately, he remembered where my house was and when I got home a half hour later he was waiting for me at the front door. It could have been a real tragedy, which is why that hiking cage you recommend is such a good thing. In your experience, are Pionus parrots as prone to mimicry or human speech as other birds? I am blessed to live in an area that has several species of birds, black, white, grey, multicolored. . . .so many types. I have to admit that I am not a great fan of birds. However, you have a way of pulling the reader in Dr Mark. I enjoy the way you write about different sentient creatures. Great article, as usual. 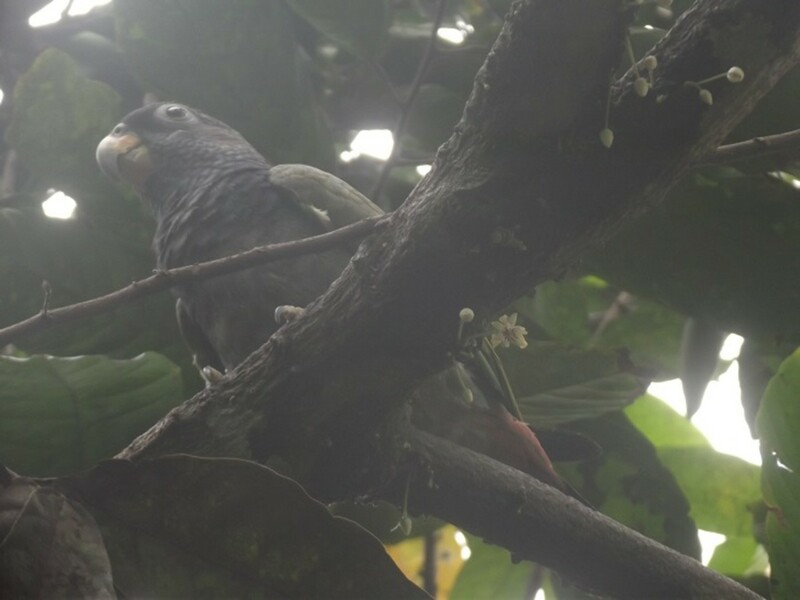 I sometimes see flocks of Amazon parrots with a few Pionus on the creek beds, feasting on that oh-so-tasty and full of vitamins grey clay. It doesnt look appetizing to me, but then again I am not a bird. Go figure. Keep me updated about your tests/treatment. Glad to hear it is going okay so far. If I ever visit your jungle abode, don't prepare any special meals for me...just serve whatever you're serving your Pionus. Interesting hub, as usual, Doc. I had never heard of that particular parrot variety, but you're pretty good at coming up with pets I've never heard of. I've been out of retail for a while and never was much of a bird expert, but I think the vitamins are sprayed onto the various ingredients in the commercial foods. I wouldn't have thought of access to dirt for a bird. I know ungulates get their trace minerals from dirt but didn't realize birds did also. I just completed the last test needed to plan my journey going forward. So far, so good.